Well September was a month that I would love to forget but in reality, the events of last month will probably be imprinted on my brain for the rest of my life. It's safe to say that September was pretty horrid in LouLouLand, as well as losing my Godfather, as an individual and as a family we went through mini crisis after mini crisis, talk about kicking someone when they're down! Like most things though you just have to battle on, and deal with what ever comes you way. Although I feel as though I'm been pulled in a lot of directions at the moment I know that I need to take some time out for me and do the things that I want to do, and what do I want to do ? well at the moment I want to organise my life, I want blog, I want to take photographs and I want to make You Tube videos! I'm back, I'm eventually getting to grips with my Mac book and I'm determined to get myself back on track, and get all of those overdue posts written and those videos uploaded so only a day or two late I'm starting with my September empties post. I bet you're wondering why I bothered? It's safe to say that September's Trimming My Stash was like the rest of the month, a bit of a fail! What can I say? I opened a lot of new products, and I didn't manage to finish the majority of the ones that were nearly done. I guess that 3 products is better than none though so lets take a closer look at the items that I did manage to finish. Yawn, yawn, yawn - you're probably sick to death of seeing these, in pretty much every months empties posts but I really do use that many of them. I've got to admit that I probably used these on my face more times than I probably should have done over the last month but hey that's how life is at times. 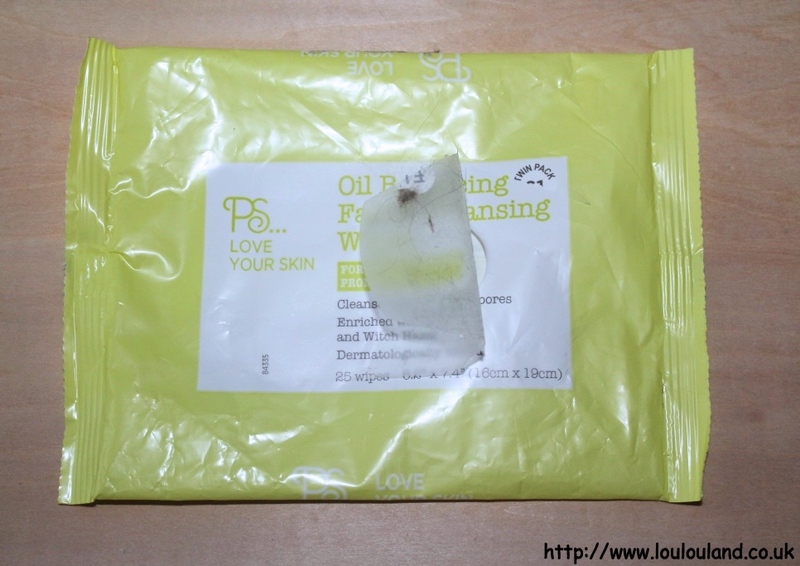 Normally I just use them for swatch clean up, and general freshening up but in an emergency the tea tree oil in these wipes really works well on my oily skin. I always have a pack or two of these in my skincare drawer or in handbag, and at just £1 for two packets of 25 they're a beauty and lifestyle essential. We're coming up to gifting season, and every year I look on the Boots website or in the gift guide and hope upon hope that they've brought this fragrance back but I really do think that it's gone for good. 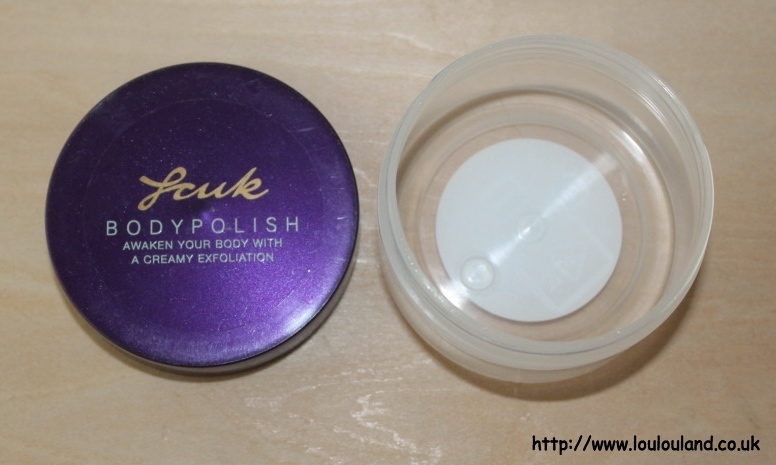 Thankfully I still have a nice little stash of products in the FCUK Signature fragrance to get my fix but after finishing this I now have one less product to use. This was probably my least favourite product in the range, the scrub had the scent that I love, but it wasn't scrubby enough for me. It was a nut shell based scrub with the grains suspended in a slightly watery, cream. The particle for me were few and far between and the cream was just a bit too runny to do a proper job. What can I say about this that hasn't already been said? 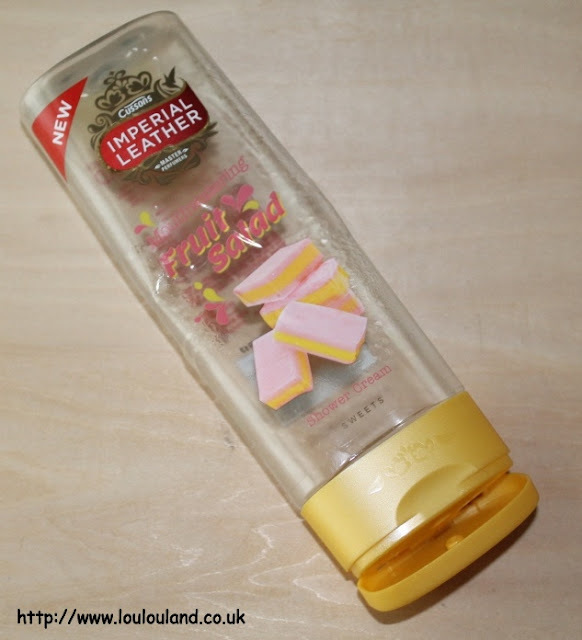 An inexpensive super fruity fragranced shower cream, that makes you think of sweeties. It doesn't the have quite the same tang as Fruit Salad chewed do but nevertheless it was still pretty yummy. I think it's now been renamed Fruit Chew for some reason, maybe copyright but according to Imperial Leather, it is still the same product. I would definitely buy this again but next on my list to try is the Imperial Leather Sherbet Lemon Shower Cream - yum! It's such a shame when brands stop producing products you love isn't it!